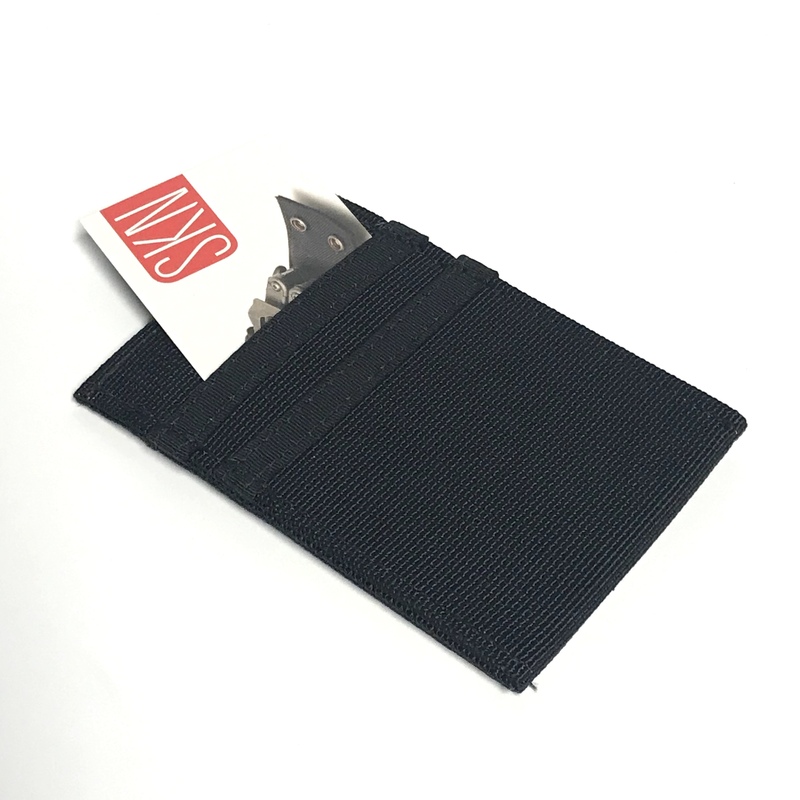 The C4 is minimalist wallet with slots for cards, flat tools and compact pens. 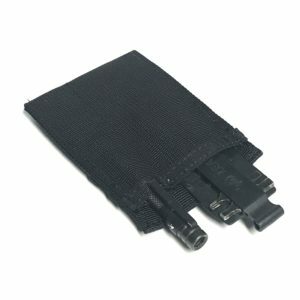 Built from the same mil-spec webbing, thread and binding as our other Skinth products, the C4 gets its name from the 4 slots. 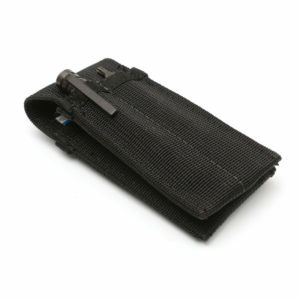 With a divided back side for flat pry bars, Leatherman bit cards, extension bits or Fisher space pens. 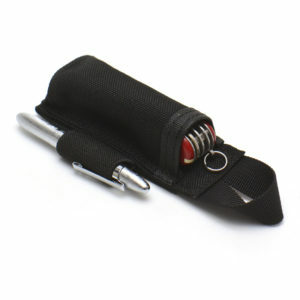 Use it for front pocket carry, inside a bag or in a cargo pocket. 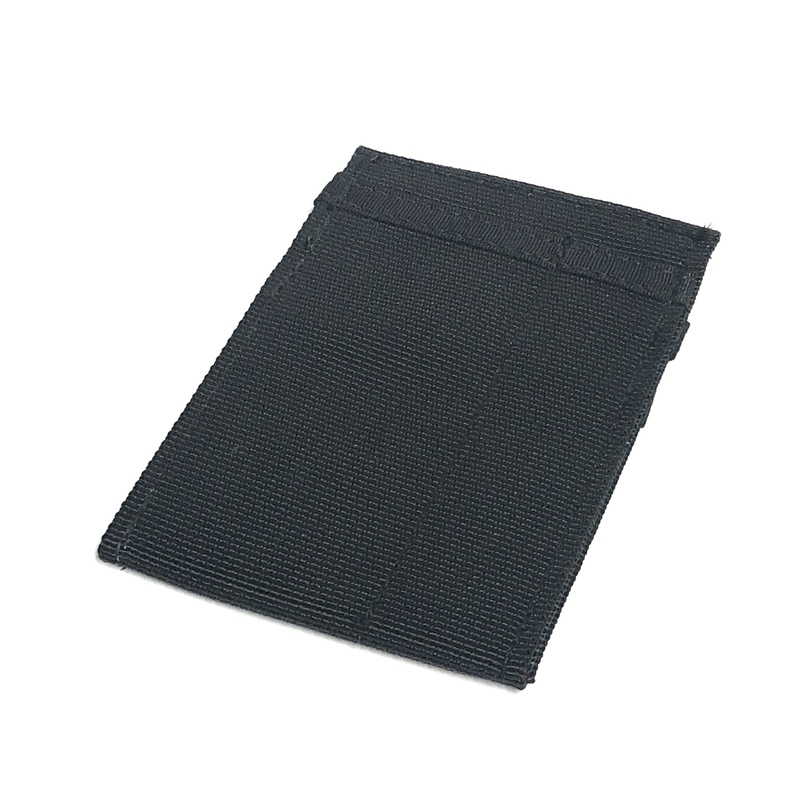 3″ x 4.5″ – black only.